They like well drained soil, as they will rot if they become too moist, but the soil should not be left to dry out completely between watering. They like sun, but should be protected from the most intense sun if your climate is hot and dry. Bring inside before first frost, but not into a room that's too warm. When you bring them inside, start with the sunniest location you can find and then gradually allow them to get used to reduced amounts of light. Zones: 3-11 (Annual in zones 3-8; Perennial in zones 9-11). Tubers can be saved over the winter to start new plants the following year. Leave foliage in place after blooming has finished for the season, as the leaves can continue to generate food for the bulbs/tubers. Foliage can be cut back once it turns yellow. 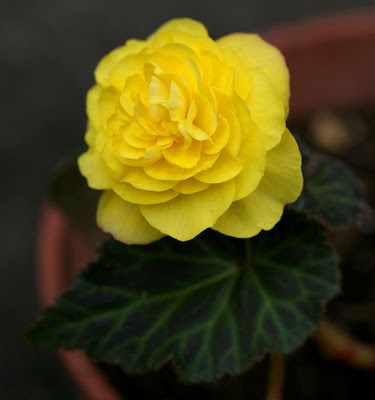 Begonias can be propagated from cuttings.